News regarding FSR-World and the new association that will replace it! As many of you will be aware a new committee was formed at the recent FSR World Championship in Dessau. The purpose of the committee is to establish an organisation to cater for the needs of the V, H & O sections, and to provide a stable foundation to enable our hobby to grow and be successful. Following Dessau the committee have had many discussions on the best way to proceed and it was decided that two changes were required. We felt that the name FSR is too closely linked to Naviga. Naviga are already advertising next year’s Naviga event in Görlitz as the FSR World Championship 2015. To avoid confusion we felt it was necessary to leave behind any similarities that might associate the new organization with Naviga. 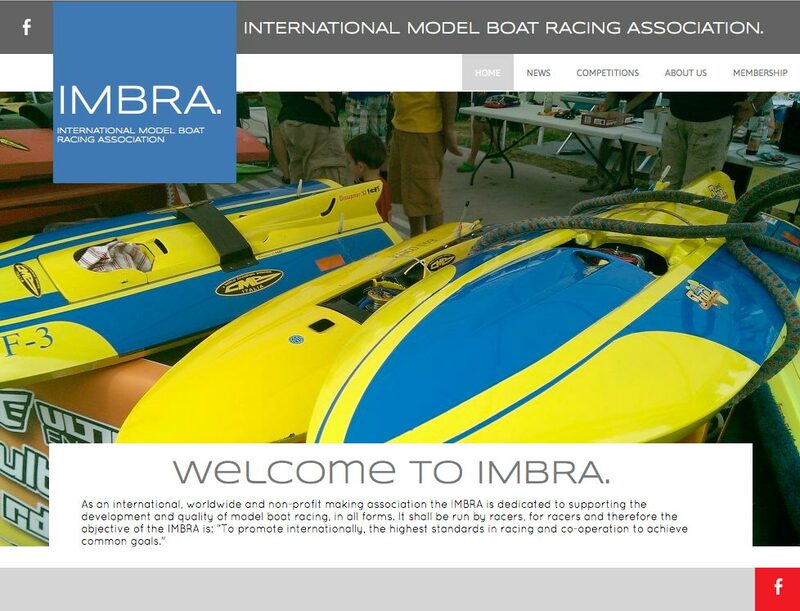 Due to English being the common language between most participating countries we felt that IMBRA (International Model Boat Racing Association) would make it clear to everybody who we are and that we are an independent organization. Deciding to start a completely new organisation was a difficult decision; however after a lot of thought and numerous discussions the committee felt it was the best option for our hobby. Jörg and Martina have done a fantastic job setting up FSR World and providing the platform for a new committee to be elected. We will be forever grateful to them and hope that we will be able to fulfil their motto “run by the racers, for the racers”. Moving forwards it was decided that German Law can be quite complex and looking to the future the organisation needs to be accessible to all current and future committee members. As stated previously English is the common language of most countries, and by forming the main organisation in England it is hoped that the legal side, constitution, documents etc will be available in a manner that everybody can understand and work with. Legally a minimum of one Director is required to set up a new private company within the UK. (It is likely that we will have a minimum of one Director and one Secretary however this is still to be confirmed). For a small fee it is possible to file a change of Director/Secretary with Companies House so that legally the Director and Secretary will always be current committee members. Any changes to the Director and/or Secretary can be easily filed online therefore making it easily accessible from any country. Once again we would like to thank Jörg and Martina for all of their hard work and for being brave enough to provide an alternative to Naviga. With Jörg arranging the open election of a committee the racers were able to elect a group of people who are committed to helping our hobby grow and who are focused on improving our sport for the future. I am sure you will all agree that there is a lot of work to be done and we will try to keep you informed and provide as much information as possible. Please keep visiting the site for further updates and if you have any questions or suggestions please use the contact us page. We look forward to working with and for you all.